The United Airlines pilot leadership, in a sharp break with peers at American Airlines and Southwest, pushed back against criticism of Boeing for not disclosing to airlines the existence of a new automatic flight control system on the MAX. Airline pilot unions this week protested loudly that Boeing hadn’t provided them information during training about a new automatic flight-control system on the MAX that’s possibly linked to the deadly Lion Air crash in Indonesia. But the United Airlines pilot leadership, in a sharp break with peers at the two other U.S. airlines flying the 737 MAX, pushed back against the criticism of Boeing. The new system is designed to activate without pilot action in extreme flying conditions. In an interview Thursday, Capt. Todd Insler, chairman of the United branch of ALPA, the Air Line Pilots Association union, broke ranks with his counterparts at American Airlines and Southwest Airlines who earlier this week publicly complained that this wasn’t disclosed to pilots during training or included in the 737 MAX pilot manuals. On Airbus jets, which unlike Boeing’s are designed to a philosophy that gives more autonomy to the automated flight-control systems and less to the pilots, there are dozens of systems that constantly work in the background without the pilot’s direct knowledge, he said. Insler said it’s premature to say anything about the cause of the Lion Air crash. “I don’t jump to conclusions,” he said. 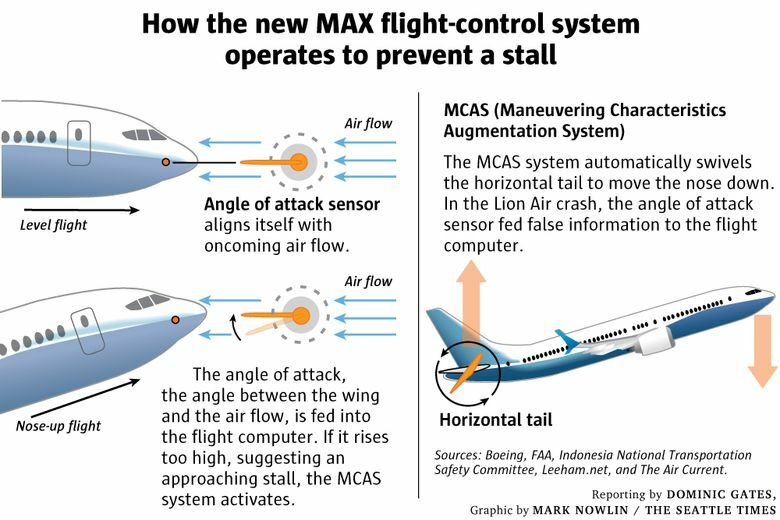 He added that while the 737 pilot manual doesn’t specifically describe the new system, it does include a standard procedure to shut down the flight-control behavior it induces — whether it’s the new system causing it or something else — and the Lion Air pilots should have been aware of it. “The story here is not why we didn’t know about (the new system), it’s why the pilots didn’t fly the plane,” said Insler. That view drew a sharp rejoinder Friday from Capt. Dennis Tajer, chairman of the communications committee of the Allied Pilots Association (APA), representing American Airlines pilots. “The pilots of American Airlines, and I’m confident at Southwest Airlines too, want to know everything about all the systems on their airplanes in the interests of ensuring our passengers are safe at all times, whether in normal operations or during emergency procedures,” said Tajer in an interview. Insler’s comments came during an interview Thursday when he angrily disagreed with the national president of ALPA, his own union, for sending a letter that echoed the concern of the other two pilot unions — APA at American and SWAPA at Southwest — about lack of information on the MAX’s new flight-control system before the crash of Lion Air JT610. The system called MCAS, for Maneuvering Characteristics Augmentation System, is activated when a sensor on the side of the fuselage indicates a dangerously high angle of attack (AOA), the angle between the air flow and the wing. If the plane is in an abnormally steep turn that puts high stress on the air frame, or when its speeds fall so low it’s about to stall, MCAS will kick in and swivel the horizontal tail to push the nose of the airplane down in an effort to avert the danger. But the Indonesian National Transportation Safety Committee investigation into the Lion Air crash found indications the jet’s flight computers received false AOA readings that may have triggered MCAS — which would have pushed the nose of the aircraft down and continued to do so as long as the system was active. The Lion Air jet during its 11-minute flight on Oct. 29 repeatedly lost and then recovered altitude before a deep plunge into the Java Sea, killing all 189 people on board. Boeing had delivered that particular MAX jet in Renton just 11 weeks earlier. Through the end of October, 241 MAXs had been delivered worldwide. The FAA said this week it’s evaluating whether to require Boeing to fix a possible flaw in the design and whether more technical data and training should be provided to pilots. In expressing this concern, Canoll was merely following the leadership of the other unions at American and Southwest. But Insler at United, the only U.S. airline flying the MAX whose pilots are represented by ALPA, hadn’t been consulted and was furious at Canoll’s initiative. “We’re upset with the national leadership,” Insler said. Insler said one of his pilots flew test flights on the MAX and that all of United’s pilots are very capable of hand flying the plane if automated systems fail. He dismissed as “speculation” the heavy discussion in the media — largely based on a safety-warning bulletin sent out to all airlines by Boeing and a follow-on airworthiness directive by the FAA — as to whether the MCAS system is implicated in the Lion Air accident. He said people should wait for the investigation to come up with a definitive account of what caused the crash. Insler’s suggestion that Boeing didn’t necessarily have to provide pilots information specifically about MCAS supports the manufacturer’s stated argument, as cited to Southwest pilots last weekend. In a Q&A, Bob Walz, a Southwest senior director of operations, told his pilots that Boeing hadn’t included any description of MCAS in the flight manual because a pilot “should never see the operation of MCAS” in normal flying. Insler’s position is also in line with that of management at United. 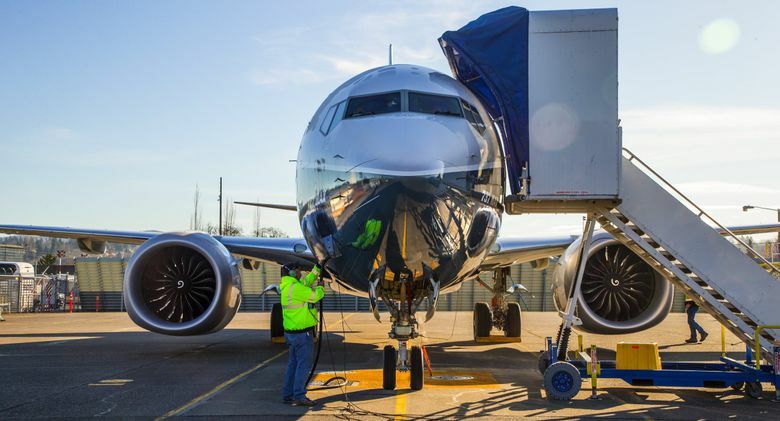 The company said earlier this week that the latest information it has from Boeing and the FAA “does not indicate that additional training is necessary” on the MAX. In contrast, the APA’s Tajer at American Airlines strongly disagrees with Boeing’s decision not to provide pilots information on MCAS. After the FAA directive, American sent out a bulletin to all its pilots reminding them of the standard procedure used to stop automated nose-down tail movements. Tajer points out that the bulletin also highlighted a key handling difference between the MAX and earlier 737 models: When the MAX’s MCAS system is activated and pushing the nose down, a pilot’s first natural reaction to pull back on the control yoke will not stop the action, as it would on the older 737s.